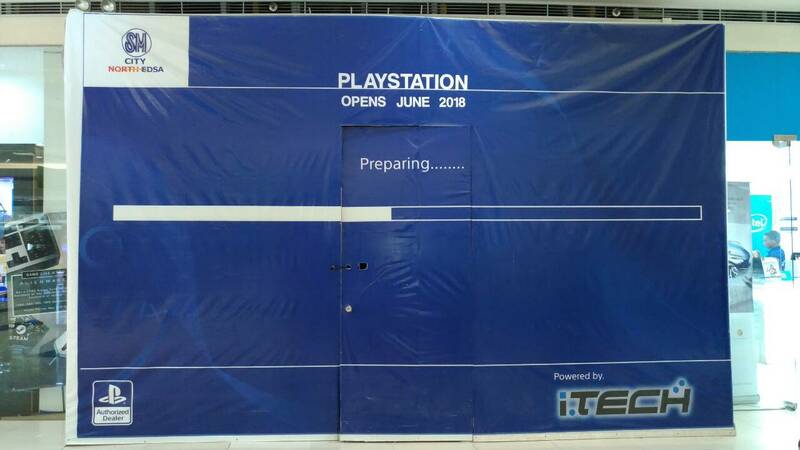 Excitement has been brewing ever since we saw the boarded up signage of the PlayStation Store at the SM North EDSA Annex a few weeks back. Finally! A dedicated PlayStation store is opening in the Philippines and we’re about to witness the grand launch in a few hours. In a stroke of luck (and a bit of pestering), we’re able to get a Sneak Photo of what it looks inside. It’s just a small cropped photo but enough to get us super excited for what’s to come for this store. We were also able to have a quick chat with their Operations Head, Ms. Percey Calos about the PlayStation Store and their plans for the future. Ungeek (UG): First of all, thank you for allowing us to see a sneak peek behind this incredible store. Can you state your name and your involvement in this project? UG: We already have various local distributors that sell official PlayStation games, consoles and accessories, what made iTech decide that it’s time to create a solely PlayStation Store for the Philippines? UG: Given this, what sets the PlayStation Store apart from other local video game retailers (Datablitz, Toy Kingdom, iTech, etc)? What makes the space different and why should people visit the PS Store? UG: What Products, apart from the usual PlayStation 4 games and accessories, will be offered in the store? Will we finally get various PS Gear Store items here? UG: Speaking of PS Gear, licensed PlayStation products (especially apparels) can be quite costly. Is the Philippine market ready for that? UG: I think one of the key questions our readers may have is will the PlayStation Store offer exclusive events such as advanced game demos or game dev meet and greets, or even advanced game trials or the likes? UG: Will the PlayStation Store offer exclusive deals such as special discounts/ bundles/ collectors editions/ etc. that cannot be found anywhere else? UG: Okay, that got us suuuper excited! Any final message to our readers about the PlayStation Store? And there you have it, Ungeek will be on-ground later this afternoon during the official unveiling of the PlayStation Store. Check back at the site for more info and updates.